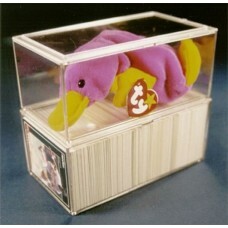 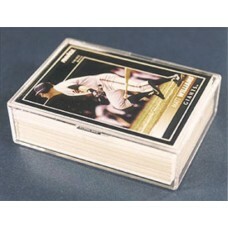 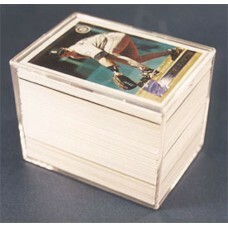 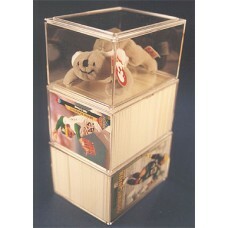 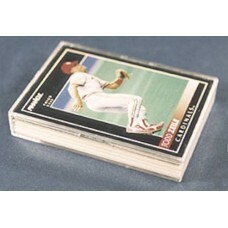 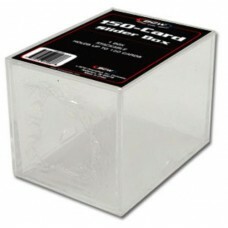 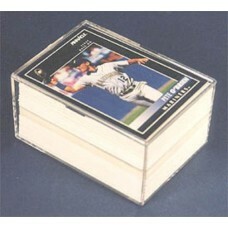 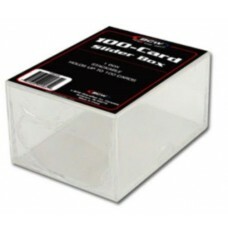 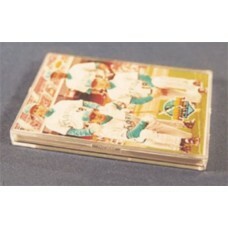 Clear plastic storage boxes for collectible baseball & trading cards. 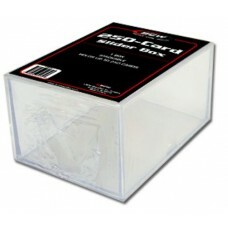 Available in several styles - hinged, slider, and snap together. 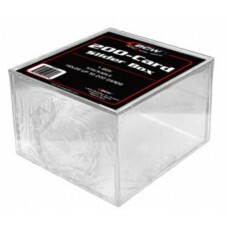 Hinged boxes are a 2-piece design with hinges where the lid attaches and opens and closed like a door. 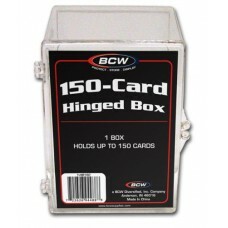 There is a clasp on the opposite side of the hinges to keep it closed. 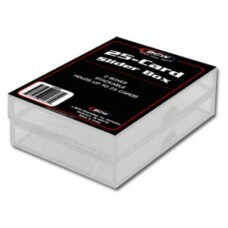 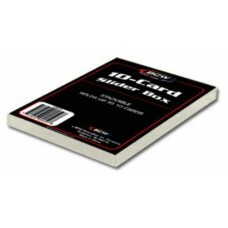 Slider boxes are a 2-piece friction-fit design where the cards go in the bottom part of the box and the lid slides down over the top and holds in place. 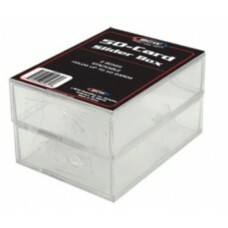 Snap lid boxes are a 2-piece design where the cards go in the bottom part and the lid snaps into place.